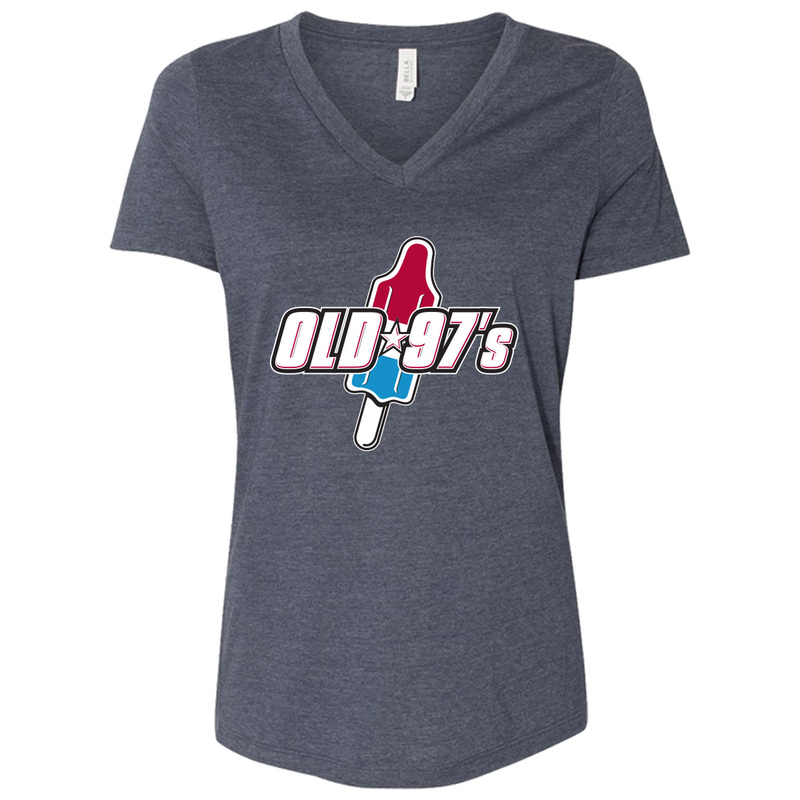 Women’s relaxed v neck featuring Old 97’s Bomb Pop logo on the front. 4.2 oz., 32 singles, 52/48 cotton/polyester. Sale price applies to Smalls only. Love this T-shirt! Perfect length for ladies. Sizing is spot on! Soft material! Please carry more t-shirt options for women!! !